The town of (London)Derry in Northern Ireland, an ideal stop during an Ireland road trip. The Emerald Isle is an ideal country to visit in so many ways. 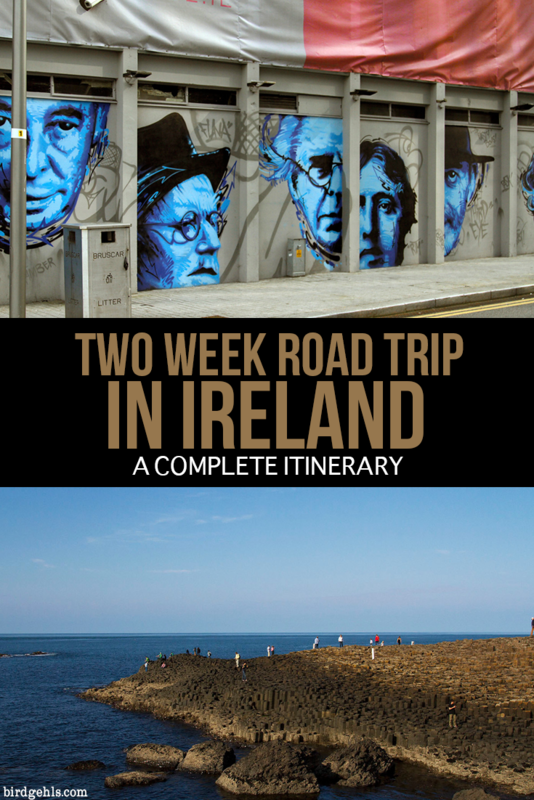 And if you’re going, why not embark on an Ireland road trip? It’s small, so much road can be covered in a short period of time. It’s packed full of things to do – whether you’re coming at it from a culinary perspective, wanting to immerse yourself in the great outdoors, or explore Ireland’s extensive history. There are buses you can take that have pre-organised tours around the two countries. Yet, if you self drive Ireland you’ll have more freedom to see the things you want to see and opportunities to stumble upon something special indeed. I’ve personally stepped foot on this beautiful island on around seven occasions (excessive, much?). It was one of the first countries I ever travelled to and remains one of my absolute favourites. 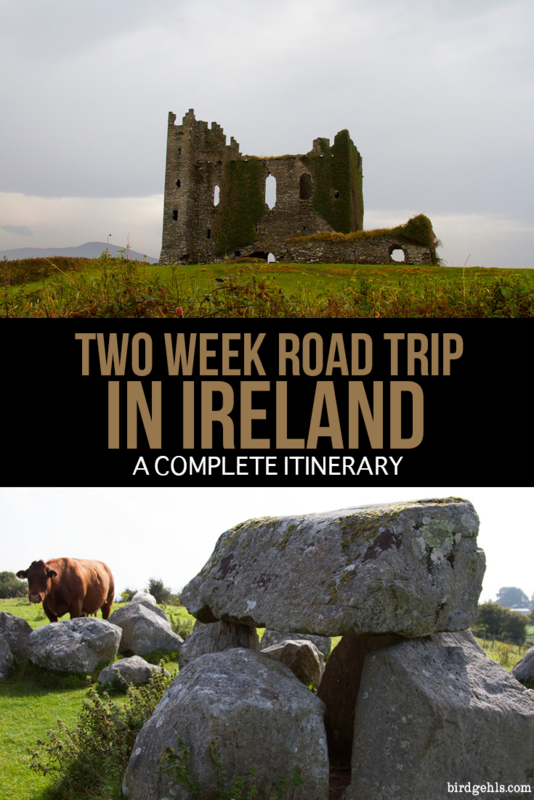 If you’re planning a trip to Ireland, you’ll naturally have a lot of questions. How long should you spend travelling around the country? Where should you stay? What’s worth seeing? Will you ever get sick of the beautiful rolling green hills of the landscape around you? I’ll answer the following questions over the course of this post, except for the last, which I can answer right now, with one simple word – no. From experience, I think a two week trip is ideal for experiencing these lovely countries in full, although you can squeeze a lot into a one week trip as well. 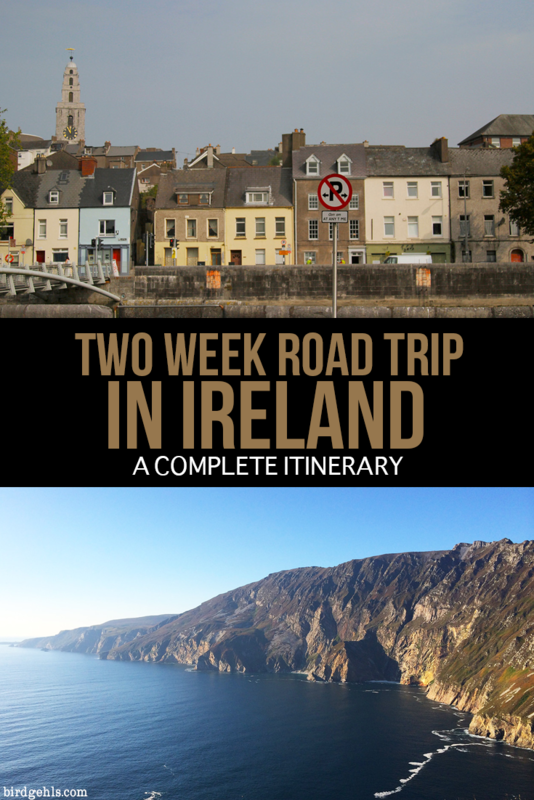 This particular itinerary is based off a two week road trip I myself did. 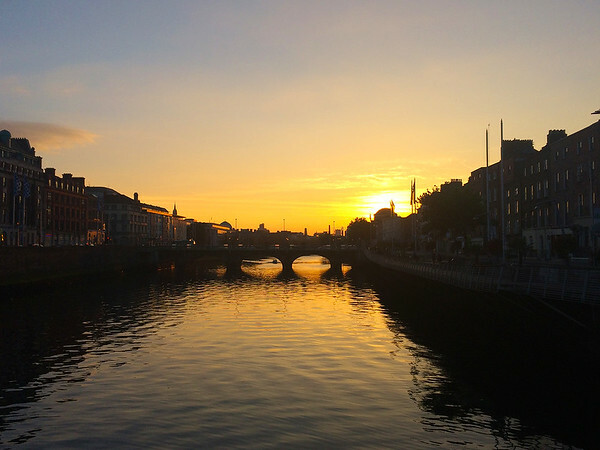 You’ll learn of some of the best cities to visit in Ireland, where is best to stay for a range of budgets and what’s worth pulling off the road for. You’ll see a lot of this sort of thing. Here is a loose itinerary you can play around with. I thoroughly recommend spending at least a couple of nights in a town or city every few days. Even though the distances are short, you’ll get tired from the driving (particularly when continually getting stuck behind tractors on one lane roads) – plus some places need at least a couple of night’s stay to do them justice. You can’t come to Ireland and not spend at least a couple of days exploring the Irish capital. I personally think Dublin is one of the most dynamic cities in Europe – at the very least it’s certainly one of my favourites. Visit the Guinness Factory: This particular tour is cited as a must-do when visiting Dublin for the first time. You can get a ticket for the Guinness Factory Tour here, if you fancy checking it out. 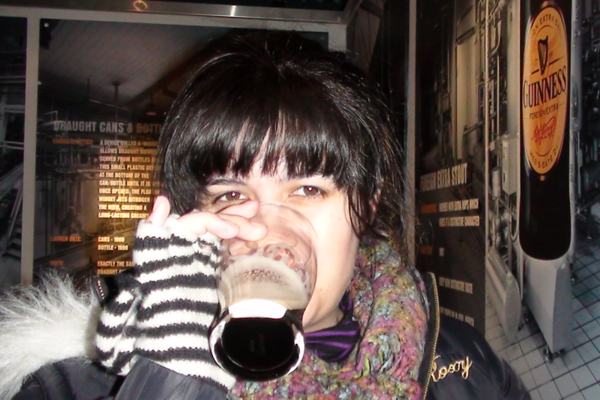 It’s fun, but as someone who isn’t much of a fan of Guinness, I would opt for the Jameson Whisky Tour instead. Trying Guinness for the first (and last) time in 2010. Have a tipple in Temple Bar: Although we are all the masters of our own destinies, it would be a real shame to travel to Dublin and not have a night out in Temple Bar. The Irish sure know how to drink and party – you’re pretty much guaranteed a fun night out. Rife with cafés, restaurants and boutique shops, it’s almost as much fun to poke around Temple Bar during the day as it is at night. Catch a flick at the Irish Film Institute: The IFI is an arthouse cinema that makes a point of showcasing Irish films. If you’re interested in the cultural side of Ireland or fancy yourself to be a bit of a film buff, be sure to check out their listings during your time in Dublin. Drink a hot chocolate at Butlers: Butlers is a chain that has one of the best hot chocolates in town – I’m partial to the praline milk choc, myself. (Don’t forget to bring your KeepCup, if you want to cut down on your plastic usage!). Visit the Dublin Writer’s Museum: Many of the world’s most beloved literary figures hail from the Emerald Isle. This museum features personal effects and portraits of the likes of Beckett, Yeats, Wilde and Joyce. There are also public readings, exhibitions and the odd theatre show. Check out Dublin Castle: You won’t be wanting of any sort of castle time after you trip through Ireland (you can even stay in some castles, as you’ll see throughout this post!). Dublin Castle is a major government building and you can do guided or self-guided tours throughout the grounds (be sure to book at least a month in advance to avoid missing out). Here’s a list of some of the best castles in Ireland – make sure you visit at least one on your road trip! Have breakfast at Bewleys: Bewleys is my own personal Dublin tradition – I head to the café on Grafton St every time I’m in town to grab a full Irish breakfast. The food is good and the waiters are cute. What can I say, I’m a red-blooded woman. We all have our weaknesses and mine happens to be Irish accents. 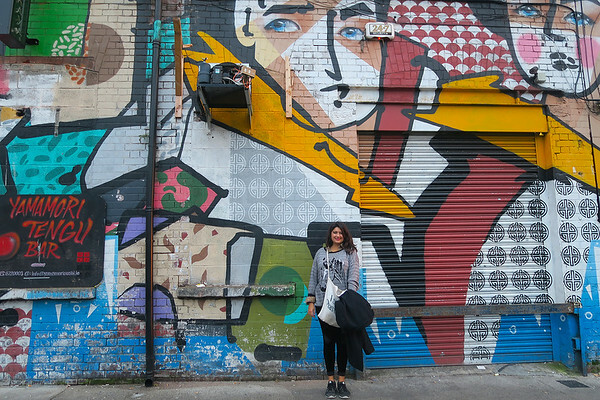 Explore Rathmines: Rathmines is a suburb of Dublin that I found to be one of the more gentrified areas. I’d head there for a tipple in a pub, or a bite to eat if I fancied being around more young things. TIP: Consider grabbing a Dublin pass, which will give you free entry to more than 30 attractions. Depending on what activities you plan on doing, this could save you a heck-tonne of cash. Always happy to be in Dublin. 2016. Budget: The Generator Hotel is a good option for budget travellers. Mid-range: Bachelors Walk features self-contained apartments, close to Trinity College and Temple Bar. Lah-di-dah: The Merrion is located right in the heart of Dublin, a short stroll to the National Gallery and National Museum. It’s a bit like travelling back in time to Georgian Dublin, with modern five star service. Boutique: The Dean is a super hip hotel located in the centre of the city. Quirky: Why not spend the night in a piece of Irish history? The beautiful Schoolhouse Hotel will provide just that, with each room dedicated to one of Ireland’s most influential historical figures. Giant’s Causeway in Northern Ireland. Northern Ireland’s capital has a fascinating and unsettling history. It’s also an excellent landing platform for the many areas of natural beauty that can be found in this part of the country. Tip: Crossing the border between Northern and the Republic of Ireland can get a little confusing, even if there is no official border control. Here’s what you need to know before crossing the Irish border. Explore Newgrange: Newgrange can be visited on the way to Belfast from Dublin – be sure to keep an eye out for it and not drive straight past, as it’s very easy to do. A World Heritage Site, it’s a Megalithic Passage Tomb, built around 3200 BC. In a marvellous feat of ancient engineering, the passage and chamber of Newgrange are illuminated by the winter solstice sunrise. A lottery for places within Newgrange on this date is draw every year, with sixty lucky people (out of about 30,000 entrants) and one guest being able to be present on the Solstice. You can enter via email, see details here. 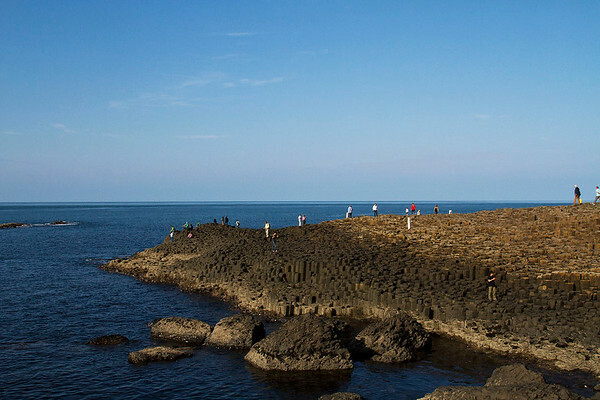 Marvel at Giant’s Causeway: This is undoubtably one of the most popular tourist attractions in Ireland, a marvel of nature and a setting for the popular television show Game of Thrones. Entry to Giant’s Causeway costs £11.50. Black Cab Tour: Like much of Northern Ireland, Belfast is a city of divides. I found the local Black Cub Tours provide a good overall introduction to the story behind the region’s issues, exploring the history behind the art and murals that pepper the Nth. Irish capital. If you want to know more about the ‘The Troubles’ from a traveller’s perspective, Everywhereist wrote a highly informant overview that’s worth checking out. 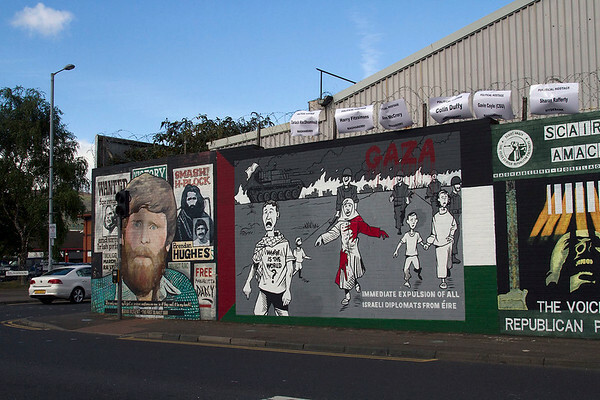 One of Belfast’s Peace Walls in 2014. 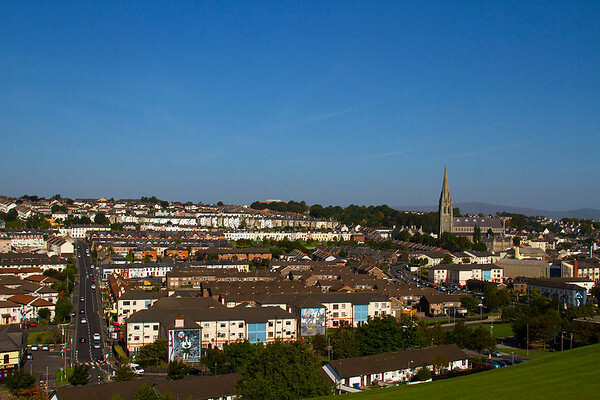 Visit the Peace Walls: The Peace Walls or Lines are barriers which separate the predominantly Republican and Nationalist Catholic neighbourhoods from the Loyalist and Unionist Protestant neighbourhoods in Belfast. Although what they stand for is indeed troublesome, they’ve become public works of political art. Many are starting to be torn down around the city, once an agreement has been reached on each side to do. Considering that the Troubles are such a recent part of Irish history, this is a monumental movement indeed. Check out the Titanic Belfast Museum: On another note, Belfast is of course the site from which the Titanic began its doomed journey. Tributes to the ocean liner can be found throughout the city in the form of public art and there is a museum dedicated to the Titanic within the city itself. Buy tickets here. Stroll down Stricklands Glen: The republic of and Northern Ireland are fantastic destinations for keen walkers. Strickland Glen will take you through a wooded glen past ponds and waterfalls and onto the the North Down Coastal Path. Vagabonds. It was clean, had a pool table and I went on a pub crawl with a few of the other people staying there. Can’t ask for much more out of a hostel. Mid-range: If you’re after somewhere that’s still relatively cheap but a little more private, try the Holiday Inn. Lah-di-dah: The Merchant is Belfast’s most luxurious hotel. It’s won a tonne of awards and each room features décor in the style Art Deco or with detailed Victorian interiors. Boutique and/or Quirky: If you grew up watching the TV show Round the Twist like I did, you’ve probably always wanted to stay in a lighthouse. Well, you’ll get that opportunity in NI if you play your cards right. Blackhead Lightkeepers’ House is open to the public in the form of accommodation, around 20 miles north of Belfast. Derry (or Londonderry, depending on which side of the political fence you sit on) is eerie and beautiful, with a sad, sad history. It’s best known for being the site of Bloody Sunday or the Bogside Massacre in 1972, where British soldiers shot 28 unarmed civilians during a peaceful protest march by Northern Catholics, against internment. 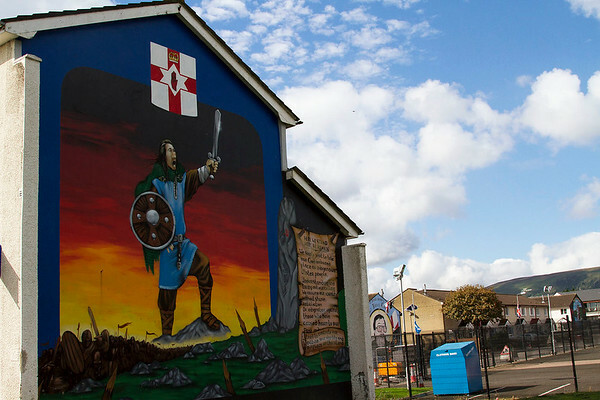 It’s worth spending sometime in Derry to learn about its place in the Irish troubles, before moving on to the natural wanders that are also in abundance throughout this region of Northern Ireland. Also, for the purpose of this post I’m going to refer to the town as Derry – not because I’m taking sides, rather that this is a massive article and it’s simply shorter to type out. 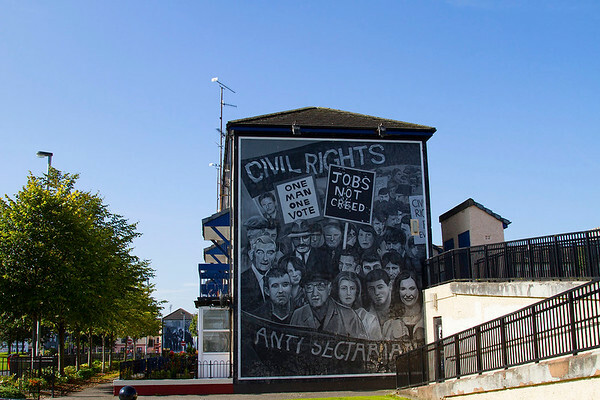 Visit the Museum of Free Derry: This museum will give you the most solid overview of Bloody Sunday and tell the tales of those who lost their lives that day. I think it’s a must-do for anyone visiting Derry and as it’s only a small space, it won’t eat up much of your time. Admission is £4.00. 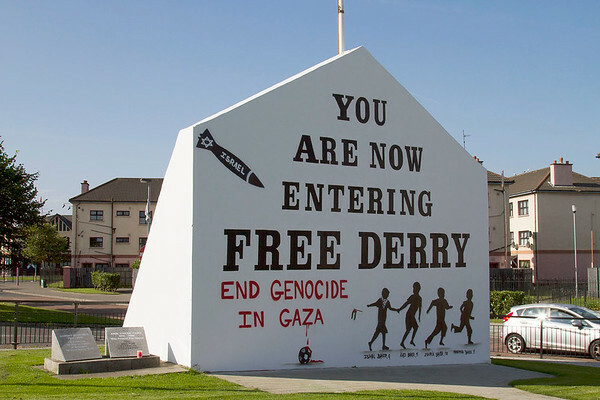 Free Derry Corner in 2014. Check out the Free Derry Corner: After paying a visit to the museum, you will need to see Free Derry Corner for yourself. 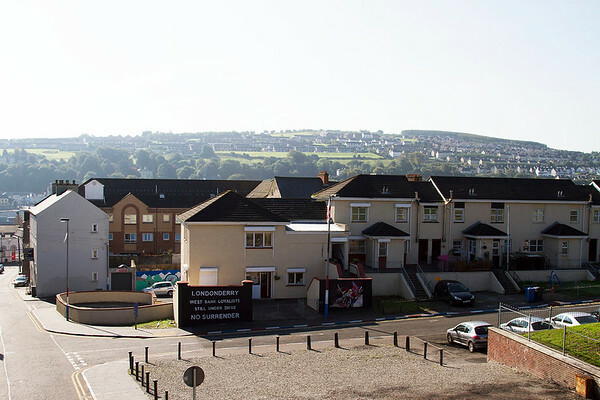 It marks the scene of the Battle of Bogside and acts as both a memorial and a declaration for current political issues. 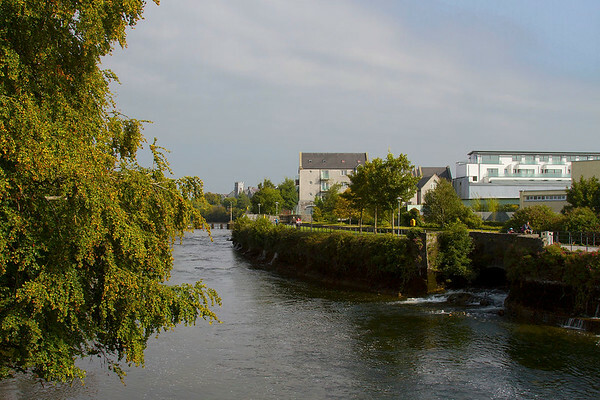 Tour the Quiet Man Craft Distillery: On a less political note, whiskey lovers should make a detour to this particular distillery, should they fancy trying some of the region’s best. Gaze Upon Mussenden Temple: This very photographic building is perched high above the Atlantic Ocean. As the cliffs surrounding it crumble, it is moving closer and closer to the edge. The National Trust keep an eye on it and maintain cliff restorations in order to preserve the building. Walk The Gobbins Cliff path: Ideal for adventurers, these cliff paths are touted as being one of the most dramatic cliff walks in Europe. Tours are available over the summer months. Ogle at the Marble Arch Caves: These caves are located in a Geopark in Northern Ireland. Tours are available, as well as other nature-based activities such as walks, cycling, fishing and canoeing. Budget: Derry Hostel & Guest House is clean and no fuss, located right in town. A perfect location for backpackers or those wanting to pinch pennies on this particular trip. Mid-range: For those wishing to spend a few more quid, City Hotel has a pool, a fitness centre and its own on-site restaurant. Lah-di-dah: Bishop’s Gate Hotel was once a gentleman’s club which hosted the likes of Winston Churchill and W.B. Yeats. I’s now the best place to stay in the city. Boutique and/or Quirky: Fans of glamping should check out The Jungle’s Glamping Pods – perfect for those who like camping but may not be a fan of NI’s ever-changing weather. Co. Donegal is a special place for many different reasons. Unlike other parts of the country, it feels largely untouched – it’s Ireland at its wildest and most rugged. Its history dates back thousands of years, with it acting as a landing spot for Vikings and housing communities of Irish monks. It features beautiful natural wonders, megalithic sites and communities where Gaeltacht (the Irish language) is the tongue of choice. It’s also the beginning of the Wild Atlantic Way, a route that travels down the west coast of Ireland. There’s so much to see and do along this track and the natural beauty of the surrounding landscape will have your jaw constantly dropping open. Experience Glenveagh National Park and Castle: This National Park is a conservation area, ideal for walkers and birdwatchers. There’s also a castle you can tour through, as well as the surrounding grounds. Check out Grianan of Aileach: This is an old stone fort, with a fantastic view. Visit Donegal Town Castle: Another day, another castle. This 15th century building is worth checking out because unlike many other castles in the country, it’s completely intact. 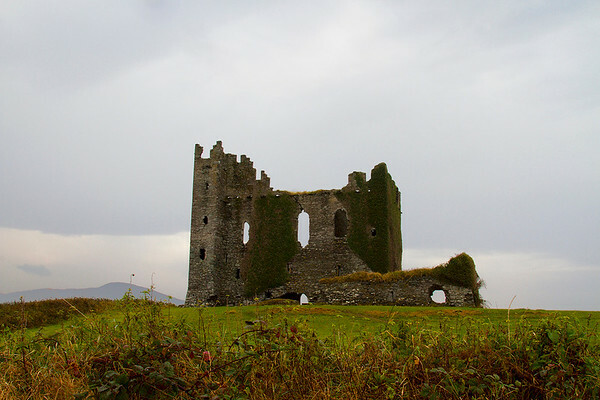 Inside, you’ll find some detailed history of the town of Donegal and the surrounding region. Admission is €5.00. 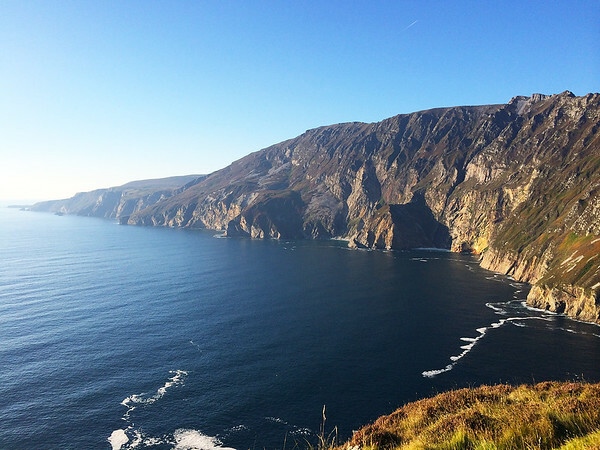 Climb the Slieve League Cliffs: These are some of the highest coastal sea cliffs on Ireland and you can take a path to the top, to gaze out over the ocean. See Malin Head, the most northernly point on Ireland: Journey out to Malin Head for bragging points. This was a popular landing point for Vikings, too. See Donegal Craft Village: A must for art lovers, the craft village features everything from paintings, to felt works and jewellery. 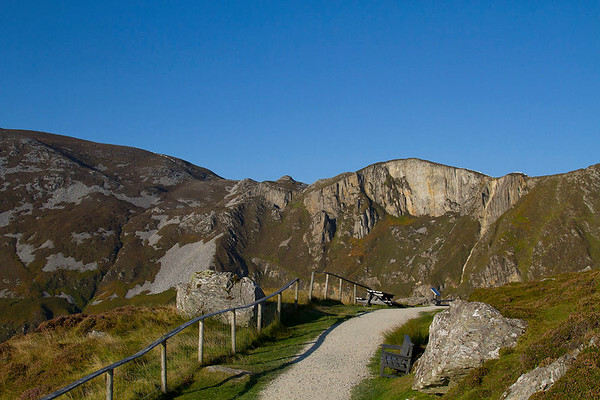 The Slieve League Cliff walk. Budget: For somewhere that is clean and friendly, head to Donegal Town Independent Hostel, located 1km from the town centre. Mid-range: For something a little more upmarket, stay in the House Gastro Pub. You can gorge in the pub downstairs, the toddle up to bed to sleep off your fully-satisfying meal. Lah-di-dah: If you don’t mind heading out of the town centre, you won’t be disappointed by the Sandhouse Hotel and Marine Spa. Rather you’ll have the dramatic view of the Atlantic Ocean to keep you company. Boutique and/or Quirky: I’m telling you now – you need to stay in a castle at some point in your trip. Donegal is as good as place as any and you can have this marvellous experience at Lough Eske Castle. It’s one of the fanciest places you can stay in in the region, but it’ll be an experience you’ll never forget. The tiny child makes the lake appear ginormous. 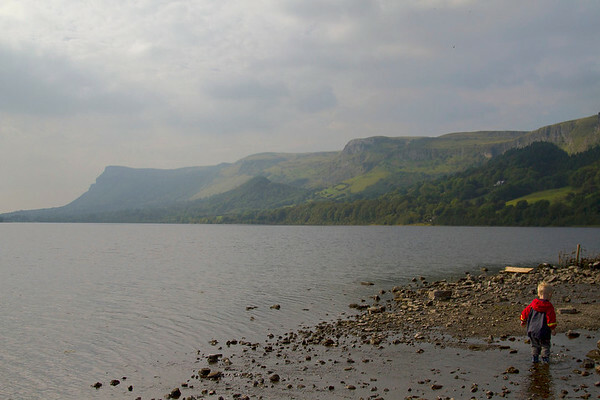 Sligo is a region of rugged countryside and literary heritage, being the birthplace of the poet W.B. Yeats, who was so inspired by this place that made him. 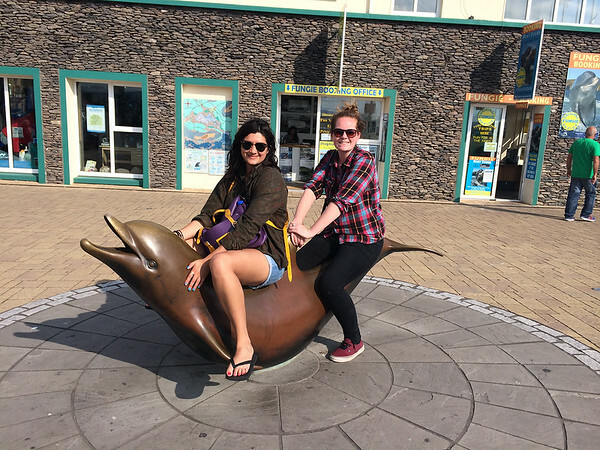 Explore the town centre, marvel at thousand year old relics, or go surfing on the wild, Atlantic waves (do you see what I did there? ), to the backdrop of Benbulbin, a large rock formation which shadows the area. Visit the Yeats Society (Memorial Building): Journey here to learn more about this important literary figure’s life. You can grab some morning tea at the adjoining café. 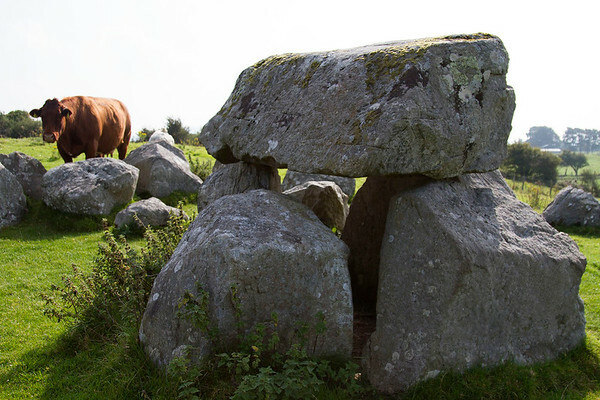 A megalithic structure, now with added cow. Check out Carrowmore Megalithic Cemetery: These structures are older than Stonehenge, give or take a couple of thousand years. There were originally 80 monuments on this site and I am so amused by the fact that cows were freely moving among them when we visited. Entry is €5.00 . Birdwatch at Lough Gill: This is a beautiful freshwater lake, certainly worth checking out on your trip through Sligo. Immerse yourself in history at Sligo Abbey: This ruined abbey dates back to 1253. €5.00 will get you in to explore the ruins. Go surfing! And as it turns out, Sligo is a surfer’s paradise! There are a bunch of surf schools in the area that will happily get you started in this most noble and gnarly sport. Budget: The Railway Hostel is a small, family owned hostel operating in town. For adventure backpackers hoping to get a bit of a surf in, Strandhill Lodge is both attached to a surf school and located right near Strandhill Beach. Mid-range: The Glasshouse Hotel consists of a dynamic building, set on the Garravogue River in Sligo’s city centre. Lah-di-dah: For those after a bit of class, luxury and privacy, head to Coopershill Estate – a family-managed hotel on 500 acres of private property. Boutique and/or Quirky: Gyreum is an eco-lodge located in Co. Sligo – a giant yurt-like timber temple. Perfect for getting back in touch with Mother Nature, which after spending any amount of time in the Irish countryside, you’ll surely feel like doing. You’ll be stopping constantly to snap pictures of the countryside. Galway is the fifth biggest city in Ireland and having visited twice, I can tell you it’s great for a bit of craic. Eat, drink, be merry and explore the beautiful surrounding regions during your time in this lovely part of the country. Visit Connemara National Park: This National Park is rife in mountainous glory, featuring four ranges for your climbing pleasure. Go on nature walks, ogle the ponies, or have a picnic! Paint the town red: Galway is a university town and is therefore also a party destination. A great night out can be had here and it’s popular for respective hens and bucks nights as well. Check out The Spanish Arch: This arch was added to the town walls in the 16th century, for extra protection from looting. These days, it’s part of the Galway City Museum, where you can learn more about the town’s history. Take a ferry out to the Aran Islands: You should definitely take a trip out to the Aran Islands. Check out the fort of Dun Aonghasa, squeal over the Inis Mor Seal Colony and explore Kilronan village, amongst plenty of other things to do. Heck, you can even glamp on the islands. Where do I sign up? 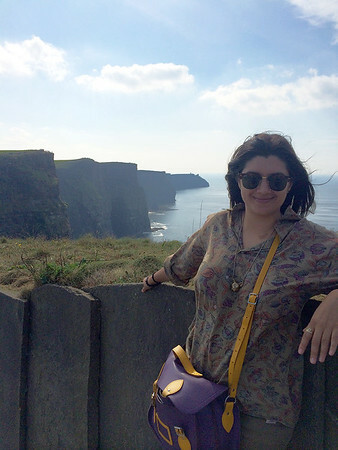 At the Cliffs of Moher in 2014. Climb the Cliffs of Moher: These are technically in Co. Clare, but they’re not too far away from Galway City. They also happen to the most popular tourist attraction in Ireland, so expect them to be teeming with people. Adult entry is €6.00. Pay a visit to the Claddagh Ring Museum: These iconic Irish rings have an epic story behind them, which you can learn all about during a visit to the museum commemorating them in Galway. As an aside, I bought a gold Claddagh ring on my first trip to Ireland in 2010 (in Dingle, my second favourite town in the country) and it remains my most loved souvenir of anywhere, ever. I’ve worn it almost every day since and you can see it in the photo above, from a return trip in 2014. I was motivated to buy this partly due to my Irish heritage but also because Angel presented one to Buffy on Buffy the Vampire Slayer and I was am just a little bit obsessed with that show. Budget: Kinlay Eyre Square Hostel is located in the centre of town and is the perfect stumbling distance from your water-hole of choice. Mid-range: Also located in Eyre Square Garveys Inn is a traditional pub offering up cosy rooms, for the mid-range traveller. Lah-di-dah: If you’re after somewhere truly special, consider heading to the Aran Island of Inis Meáin to stay in the local suites. Boutique and/or Quirky: Hotel Meyrick is one of the best hotels in town, where old meets new. And part of the new happens to include a Canadian hot tub. 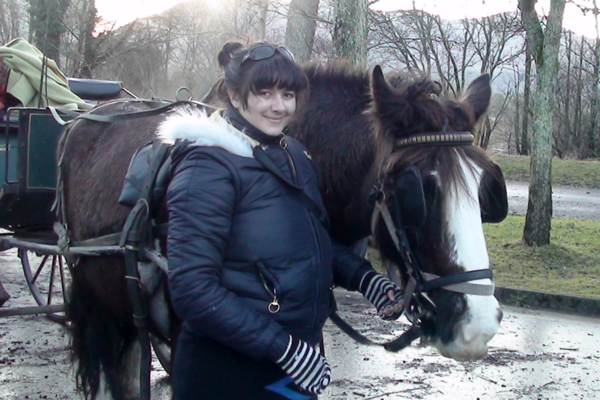 With a jaunting car in 2010. 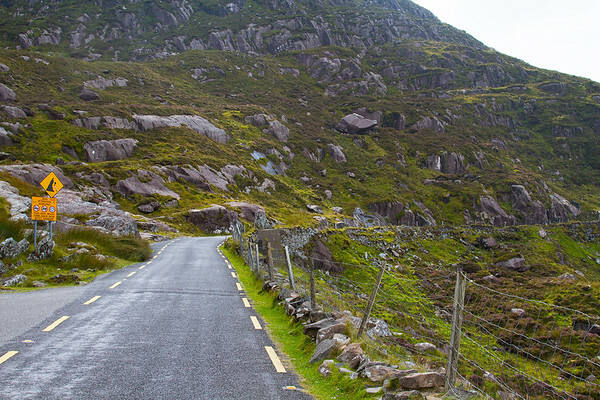 Drive the Ring of Kerry: The Ring of Kerry is a major drawcard of Co. Kerry and is best kicked off in Killarney. 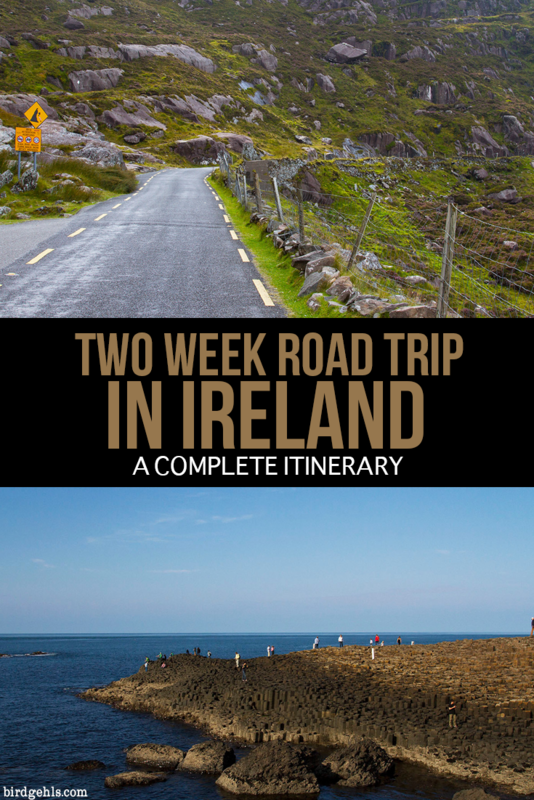 On the drive you’ll head past some glorious mountains, beautiful beaches and Irish countryside at its most ruggedness. Visit Muckross House: Muckross House and Gardens is located in Ireland’s oldest National Park (see below). This Victorian mansion is one of the many sites worth visiting on the grounds. Explore Killarney National Park: Along with Muckross House, take a jaunting car (horse and carriage) through the park, pay a visit to Ross Castle and the Gap of Dunloe, or just explore the area on foot at your own pace. Here’s some more information on things to see in Killarney National Park. Eyeball Derrynane Beach: This beach is said to be one of the most beautiful beaches in Ireland. After you’ve walked up and down its length, be sure to check out nearby Derrynane Abbey & Burial Ground. Check out the Skellig Ring: The lesser known Skellig Ring offers gorgeous views of the surrounding countryside, without nearly as many tourists as the Ring of Kerry. You can head out to the The Skellig Islands and sight some puffins, if it’s the right time of year for it. Pub crawl through Killarney Town: Or, just enjoy the revelry which is Killarney town! Everyone loves a party, right? I actually have no idea where this was taken but I can assure you it was Ireland, somewhere. Budget: For a simple, no fuss experience book a stay at Neptune’s Hostel, which comes with free breakfast. Mid-range: The Heights Hotel offers luxurious accommodation with splendid views at an affordable price. 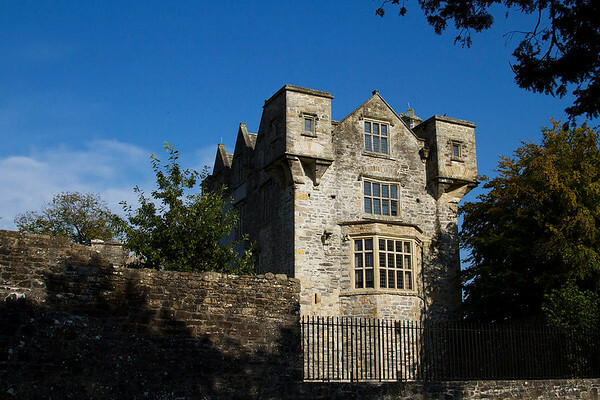 Lah-di-dah: And here’s another chance to stay in a castle, a CASTLE PEOPLE, at nearby Tralee’s Ballyseede Castle Hotel. Boutique and/or Quirky: The Ross is a quirky, boutique hotel that can be found in the city centre. Looking back on the town from Dingle Harbour. Dingle is hands down one of my favourite spots in Ireland. A quiet, sleepy fishing town, with plenty of pastel coloured houses, it’s a hotspot for good food and good views, with a relaxed, seaside vibe. This is sadly the closest I’ve ever been to seeing Fungie. 2014. Try to spot Fungie the dolphin: Dingle’s most famous resident is Fungie the dolphin, who tends to hang around the harbour. I’ve never seen him (her? ), but you might be able to – tours are available here. Grab an ice cream at Murphys: Murphys is an artisan ice cream shop, found all over the country but originating in Dingle. Do yourself a favour and grab a cone, no matter what time of the year it is. Get into some seafood chowder: Similarly, Dingle’s seafood scene is off the hook. Order fresh fish from one of the many restaurants and cafés that dot the main street and definitely get some creamy seafood chowder whilst you’re at it. 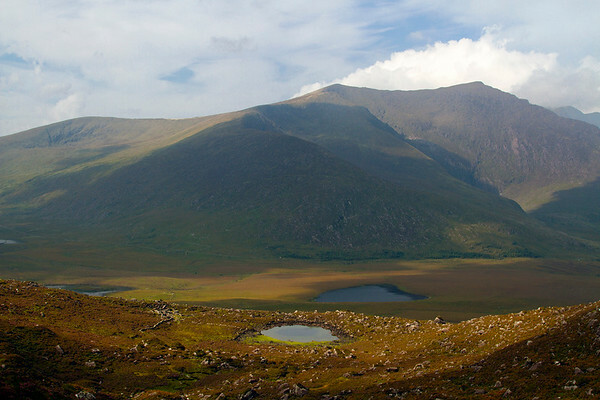 Walk the Dingle Way: Ireland has a tonne of walking trails and this particular one is 179 kilometres long. It takes around 8-9 days to traverse. More information can be found here. Drive the scenic routes around the Dingle Peninsula: This is a day trip in itself. There are two scenic drives on offer – Slea Head Loop and Conor Pass. Take your time and enjoy the coastal landscape. 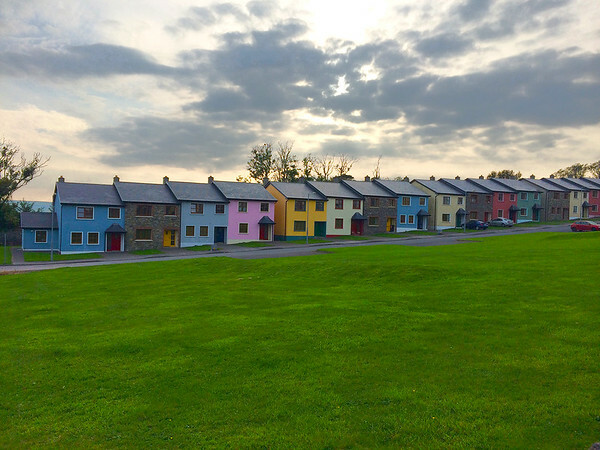 Brightly coloured houses of Dingle. Budget: I stayed at the Grapevine Hostel in town my last visit in Dingle, which was cheap and clean. 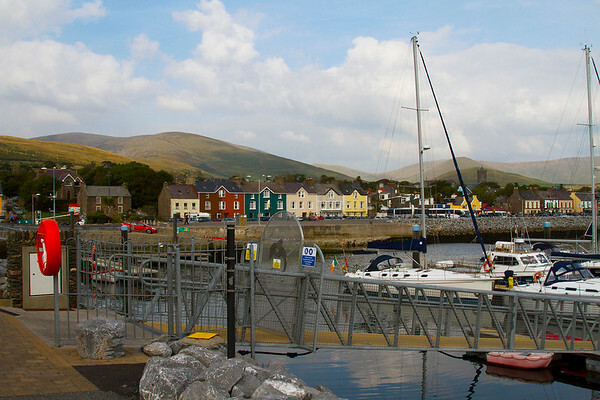 Mid-range: The Dingle Harbour Lodge is a 6-minute walk from the harbour, close to shops and restaurants. Lah-di-dah: Dingle Benners Hotel is located in a traditional manner house, a short stroll out of town. Boutique and/or Quirky: For a boutique hotel experience, check out Castlewood House. Dingle is so beautiful that you don’t even need to get out of town to be met with truly excellent sights. Cork is the second biggest city in Ireland and its harbour is one of the largest natural harbour’s in the world. It’s home to what is probably Ireland’s most famous castle – Blarney Castle. It contains a very well known stone by the same name and if you kiss it, it’s said to give you the ‘Gift of the Gab’. 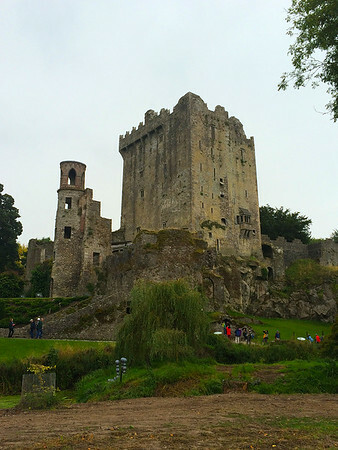 Visit Blarney Castle and kiss the Stone: It’s rare that a single stone is more famous than an entire castle, but then again Ireland can be a weird place at times (good weird, I assure you). Climb to the top of the castle, to be lowered down and kiss this particular stone. Legend has it that those whose lips make contact with its cold, hard surface with be granted the gift of eloquence. I’ve been twice and have refused to kiss the stone on both occasions – once because I had a head cold and the second time because I was grossed out. I’m eloquent enough anyway, you can’t shut me up. 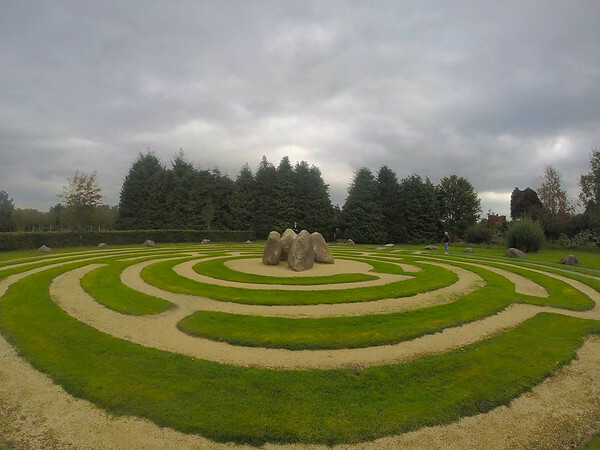 Visit Fitzgerald Park: This is a place to visit if you’re after a bit of peace and quiet from Ireland’s second biggest city. There’s museums, ponds, a café and a skate park. Blarney Castle, home of the eponymous Stone. Check out Cork City Gaol: I personally find old gaols truly fascinating and Cork’s would be no exception. Find out more information here. Do the Ballycotton Cliff Walk: This cliff walk takes you from Ballycotton village to Ballyandreen beach. It’s about a five mile trek. 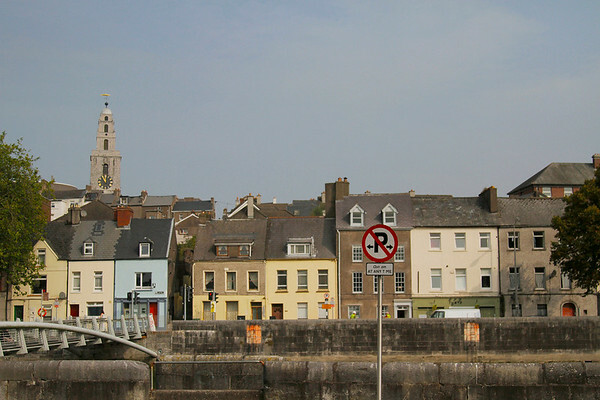 Abandon Cork and visit Kinsale: If you’ve had enough of the bigger Irish cities and want to ogle some more villages, head to the seaside town of Kinsale, to shop, eat and enjoy water-based activities. 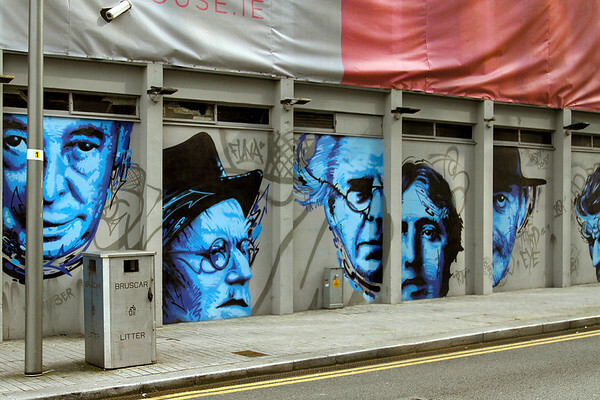 Famous Irish faces in Cork. Budget: Kinlay House is a no fuss hostel, right in the centre of Cork. Mid-range: Jurys Inn overlooks the River Lee and is a five minute walk from Kent Station. Lah-di-dah: The River Lee Hotel boasts a pool and spa and is fantastic value for money. Boutique and/or Quirky: The Park Hotel Kenmare dates back to 1897 and has been voted the Best Hotel in Ireland. Part of Greenan Maze, just outside of Dublin. Take turns driving – the roads in Ireland are small, narrow and often twisty – you’ll require full concentration when driving along them. And as with the UK, the Irish drive on the left side of the road. Be wary of the changing systems of measurement on the roads – particular as you dip in and out of Northern Ireland. They’ll go from metric to miles and it can be a bit baffling at times. Beware of Northern Irish pounds – I made this mistake once, pulling out 100 quid’s worth of Irish pounds from an ATM. They’re fine to spend in Nth. Ireland, but people in the rest of the UK will look at you as though you’re trying to pay with Monopoly money and even refuse to take them. Believe it or not, this 5000-odd word guide barely scratches the surface of what the Emerald Isle has to offer visitors and locals alike. I for one, can’t think of any other place in the world that has had an impact as far reaching as Ireland. People across the planet can trace their heritage back to this small, but marvellous piece of land. I feel honoured to be included amongst them. I hope during the course of your trip, you end up feeling the same way that I do – that hook or by crook, you will continue to travel to this land of merriment and outstanding beauty, until your end of days. Planning a road trip of your own? Pin this post! Thanks lovely lady! It was really fun to research and write. Problem is… now I can’t stop thinking about the place, haha. Aw I love Ireland. This is a huge amount to squeeze in, but it all sounds fantastic! It’s just a shame that you couldn’t head out to Connemara from Galway…but I guess that would take up the rest of your trip as it’s so pretty you might not want to go to the next place!! It is, it’s more a range of activities to pick from, but did manage to hit every place on a trip around one time there. Haha have had that feeling in Dingle and Donegal… and Dublin, tbh! It’s such a great place to visit. It’s a phenomenally beautiful country, I can’t imagine you wouldn’t enjoy it! So glad to hear that it’s been helpful.